Searching for the right job in ABA, or any field, can be a challenging and sometimes frustrating experience. How does one prepare for an interview? How do you ascertain if the agency you’re interviewing with is a good fit for you, your values, and how you work? It’s just as important for the candidate to assess the organization she is applying for. Animate Behavior Co-Founder and Chief Operations Officer, Yaz Aboul, M.S.,BCBA shares valuable tips for ABA professionals who are just entering the field from graduate study or are looking for the right company. 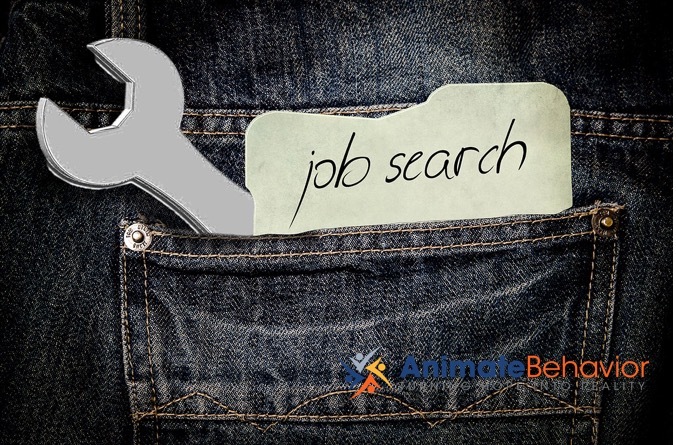 Click here now to check out opportunities at Animate Behavior. If you are interested in a company or a position, do your homework. Read their entire website, read the executives’ bios, see what jobs are posted, look them up on Facebook and other social media channels. Coming prepared with this knowledge will demonstrate your professionalism and interest in the agency, and job. Furthermore, you will get a better feel and understanding of the company. Check out the Animate Behavior Careers page, now! How often is it provided? Who provides it? Is supervision done in the group format or one-on-one (I recommend looking for both). It’s very common to be pushed into a position you are not ready for, and one you are not fully trained to do. An expectation that one will either sink or swim is very common in this field, and burn out and “drowning” are even more common. You are looking for lengthy training and gradual fade in of clients and hours. Learning a company, its culture, its roles, and how clients and staff are managed, is no easy or quick task. However, it is possible to get a sense of how an organization is operated and what philosophies are foundational. You are looking to see if a clinician is truly in charge, this is key to avoiding major ethical conflicts. Excessive driving to and from client sites is a common factor that causes BCBA burnout. In-home ABA requires a lot of it, and if your regions and clients are spread out, you may find yourself in the car for most of the day. This can make billable requirements difficult to attain and, sometimes, unsustainable. A good agency controls their growth and scales appropriately. An agency trying to take over the world of ABA will very likely struggle in all of the key areas. Growth is not a bad thing, but rampant expansion can be a bad sign. You are looking for reasonable and ethical growth plans and strategy. These questions will help you to learn more about the agencies you’re applying for. You’ll begin to get an understanding of how the organization runs, what the agency’s values are, and how closely aligned the agency’s mission is to its actual operations. At Animate Behavior, we are open to inquiry and connecting with passionate ABA clinicians. If you have questions about careers with us, or just want to learn more about what the field has to offer you, click here now to send us a message. Click here to check out job opportunities at our agency.